HMD Global is hosting an event at 12pm IST in New Delhi today, where it is expected to unveil a new smartphone touted to sport a large display and big battery life. The Nokia 7.1 Plus is largely expected to be launched at the event, but this is still in the realm of speculation. The company could make available a completely different device at the event, may be the Nokia 7.1, which was unveiled earlier this month in London. All of this speculation will be put to rest at the event in a few hours. The event will be live streamed on the Nokia Mobile India Facebook page, and you can catch it below. If HMD Global does launch the Nokia 7.1 Plus, leaks suggest that it will be revealed in two colour options - one in Silver shade and the other in a brownish shade. It suggest a small display notch, a substantial chin on the bottom, vertically aligned set of dual rear cameras, a rear-mounted circular fingerprint sensor, and Android One branding. It is expected to come with a 6.18-inch full-HD+ (1080x2246 pixels) TFT display with an 18.7:9 aspect ratio, a 2.2GHz octa-core SoC, 4GB/ 6GB RAM, and 64GB/ 128GB of onboard storage. 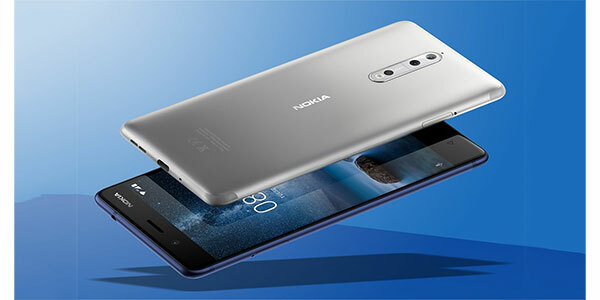 The Nokia 7.1 Plus is expected to sport a dual rear camera setup with a 13-megapixel primary sensor and a 12-megapixel secondary sensor. On the front, the handset will get a 20-megapixel selfie camera. The phone will be backed by a 3,400mAh battery unit. As mentioned, the company could well just make the Nokia 7.1 available in India, and unveil pricing and other details at the event tomorrow. One of the teasers released in the past does show the back of the device, which looks eerily similar to the Nokia 7.1, forcing us to make this assumption. But as all speculations go, they hold no legitimacy, and should be taken with scepticism. We will be at the event to report on all the official details. Stay tuned.